I hope you have all had a wonderful week and are ready for the weekend. I know I certainly am. The weather has started warming up around here, and the kids have been spending a lot of time playing outside, which we are all loving. The trees are starting to bloom and spring is definitely in the air. I’m loving it! I do have some sad news, though. For various reasons, Eileen and Lidia will be stepping away from the link party. 🙁 They have been so fun to work with, but sometimes life intervenes. Fear not, though, as I will be continuing with link party on my own every week. Going forward, I will choose 2-4 features each week, and everything else will remain the same. So, the inspiration will continue! With that said, let’s get the party started. I’m having a food moment and this sheet pan Mongolian beef recipe from “Living on Cloud Nine” has me drooling! These decoupaged eggs are gorgeous and just perfect for Easter. Hop on over (no pun intended – ha!) to see how Paula from Virginia Sweet Pea made them. This fun little vase was upcycled from a tin can. What a thrifty and creative idea from Decor Craft Design. The most popular post this week is from Pillar Box Blue with this Decoupage Easter Egg Wreath. So pretty! 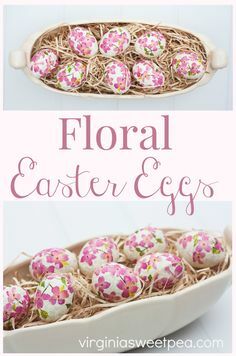 Thanks so much for featuring my floral eggs! Amy I too am so happy spring has finally sprung, even in the form of showers. I am saddened to hear that the other ladies had to bow out but I more than anyone know how that goes. I will you much success in the future. Thanks for sharing, Debbie! Have a great weekend! 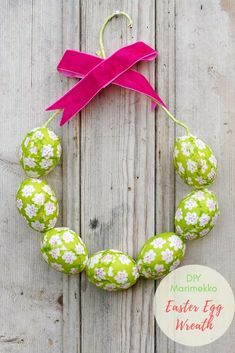 Lovely to see that my Marimekko wreath was the most popular post last week. I hope you have a lovely weekend. I’m not surprised! It was lovely. Have a wonderful weekend! Sounds amazing, as always, Marilyn! Have a great weekend! Thanks for hosting and for keeping the party going, Amy. Hope you have a wonderful weekend. Thanks, Beverly! I’m looking forward to seeing what you shared this week!